You CAN'T evacuate millions of people over that road system in a day. It's physically impossible. The Category 5 Hurricane Irma made landfall in Cuba Friday and is expected to hit Florida early Sunday. A satellite image shows the storm at 3 a.m. ET Saturday. 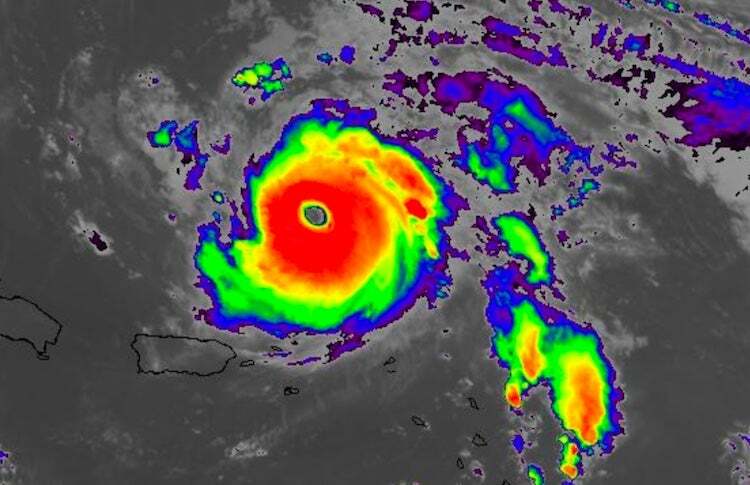 Hurricane Irma is again a Category 5 storm and made landfall on the Camaguey archipelago of Cuba late Friday, according to the National Hurricane Center. As of 2 a.m. ET Saturday, the hurricane's eye was over the archipelago. The report puts Irma's traveling speed at 12 mph, about 275 miles south-southeast of Miami. About 5.6 million people in Florida have been ordered to evacuate as forecasters expect the hurricane to hit Florida early Sunday morning. The hurricane center continued its alerts about not just high winds and rain, but the expected storm surge, saying surge warnings have been "extended on the east coast of Florida to the Volusia-Brevard County Line and on the west coast of Florida to Anclote River, including Tampa Bay." Hurricane warnings cover the same area. Earlier Friday evening, Florida Gov. Rick Scott warned his state's residents that Hurricane Irma could be a major catastrophe and in no uncertain terms he urged people to heed orders to evacuate. "Our state has never seen anything like this before. The majority of Florida will have a major hurricane impact with deadly storm sure and life-threatening winds," he said in an evening news conference. He said the lower half of state will be in danger of life-threatening storm surge in the next 12 to 18 hours. "If you have been ordered to evacuate, you need to leave now. Not tonight, not in an hour. Now." Scott said there is no area in the state where people will safe on their own. "This storm is wider than our entire state and it is expected to cause major and life-threatening impacts from coast to coast." he said. Early Saturday, the National Weather Service warned residents of the Florida Keys to leave immediately, saying "the Keys are not safe." In South Carolina, Gov. Henry McMaster ordered a mandatory evacuation, starting Saturday morning, of barrier islands in Jasper, Collerton and Beaufort counties. Alabama Gov. Kay Ivey has declared a state of emergency in anticipation of Hurricane Irma's arrival. Hurricane Irma slammed through the Turks and Caicos Islands en route to a destructive encounter with Florida this weekend. It began hitting Cuba and the Bahamas with hurricane conditions Friday as a massively powerful and "extremely dangerous" system, forecasters say. Irma's dangerous "eye wall," has been threading its way through the gap between Cuba and the Bahamas on its way toward Florida. The extent of the Irma's damage to the low-lying Turks and Caicos island chain, located just east of the Bahamas, still isn't clear. Preliminary reports from the BBC say the islands were "pummelled," and at least 14 people were killed. The islands' emergency management agency issued an "all-clear" shortly before 1 p.m. ET, but it also warned that "many roads have been flooded and power lines and transformers are down." Forecasters had predicted Irma would hit the area with powerful winds and waves as high as 20 feet. Miami's airport is packed on Thursday as residents and tourists evacuate the southern part of the state. The National Hurricane Center says the center of Irma "will move near the north coast of Cuba through Saturday, near the Florida Keys Sunday morning, and then near the south west coast of Florida Sunday afternoon." "Some fluctuations in intensity are likely to continue during the next day or two," the agency said in its 11 p.m. ET briefing, "but Irma is expected to remain a powerful hurricane as it approaches Florida." Irma, which is one of the most powerful hurricanes ever recorded in the Atlantic, is set to barrel between the northern coast of Cuba and the southern Bahamas on its way toward Florida. 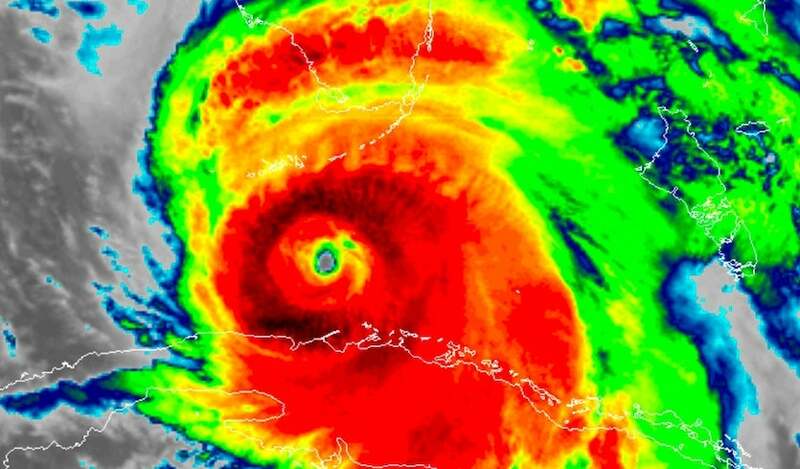 Meteorologists believe that after making landfall as "at least a Category 4 hurricane" in the Keys by around 2 a.m. Sunday, the storm will move up through Florida toward Georgia. "After landfall, a fairly quick decay in maximum winds is expected due to land interaction and increased shear," the hurricane center says, "although Irma's large wind field is likely to still produce hurricane-force winds over a large area." Irma's hurricane-force winds extend up to 70 miles from its center, and its tropical-storm-force winds extend up to 185 miles. A massive evacuation was ordered for islands in the southeast of the Bahamas chain. The Tourism Ministry in the Bahamas said thousands of tourists had left ahead of Irma's arrival. A photo provided by the Dutch Defense Ministry shows storm damage on St. Martin in the wake of Hurricane Irma on Thursday. Cuban residents on the northern coast were under a mandatory evacuation order and thousands of tourists were evacuated from low-lying keys off the Cuban coast on Thursday in anticipation of the storm surges, according to the AP. At a news briefing early Friday, Federal Emergency Management Agency Administrator Brock Long warned that parts of Florida could be without electricity for days or weeks and that more than 100,000 people in the state may require shelter. "Hurricane Irma continues to be a threat that is going to devastate the United States in either Florida or some of the southeastern states," he said. 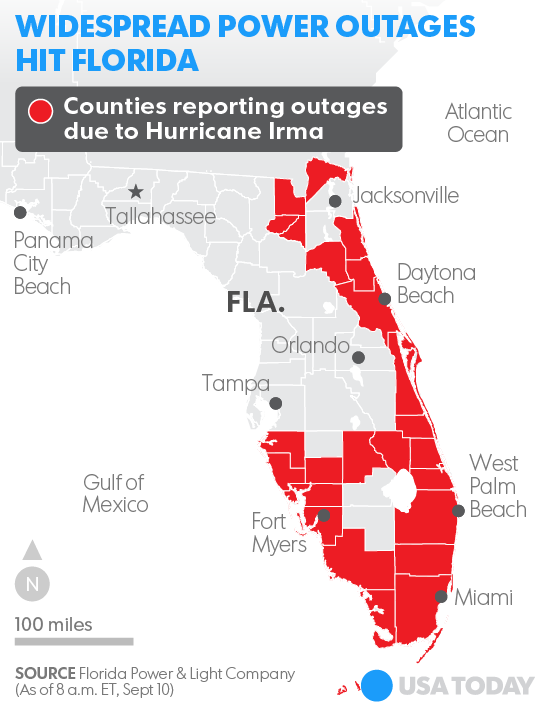 Florida Power & Light CEO Eric Silagy said Friday that given Irma's current strength and path, the storm is likely to impact 4.1 million electricity customers — or some 9 million people, NPR's Greg Allen reports. In Miami, officials are opening new shelters to handle the thousands of people who are looking for safety during the storm. Anticipating possible water outages due to Irma, the Miami-Dade County emergency agency advises residents to fill "bottles, pots/pans and all containers you have." Hurricane Irma devastated parts of St. Thomas, U.S. Virgin Islands, as well several other Caribbean islands when it hit Thursday. The emergency agency is also encouraging people in Irma's path to download a variety of apps, from local 311 information services to Florida 511 for traffic status and Gas Buddy for updates on fuel availability. Describing what areas hit by a hurricane the size of Irma can expect to experience, the hurricane center says, "Well-built framed homes can sustain severe damage with loss of most of the roof structure and/or some exterior walls. ... Most of the area will be uninhabitable for weeks or months." Some areas could see a surge of 6 to 12 feet. Hurricane warnings are also in effect for Lake Okeechobee and Florida Bay. With damage expected from wind, rain and water surges of 6 to 12 feet along the storm's path, Long said, "Anybody from Alabama to North Carolina should be watching this storm very closely." Bahamas Power and Light says electricity service in several of the Bahamas' islands was lost Friday morning. Preliminary reports say Long Island and Crooked Island escaped major structural damage. On Thursday, Irma skirted just north of Hispaniola, an island split between the Dominican Republic and Haiti, sparing those countries the full force of its winds and storm surge. Earlier, Irma had also passed to the north of Puerto Rico, knocking out electricity to more than a million people in the U.S. territory. The island's fragile infrastructure is expected to present a major challenge, and authorities say it could be months before power is restored to some rural areas. An overturned truck and other debris from Hurricane Irma are seen on St. Martin on Friday. The Caribbean island is one of those in danger of taking a second battering, from Hurricane Jose. Two outlying Puerto Rican islands, Vieques and Culebra, got hit hardest. NPR's Jason Beaubien, reporting from San Juan, says that those islands got hit "incredibly hard" and that the territory's governor, Ricardo Rosselló, declared them a disaster. "People there say the destruction was like the end of the world," Jason says. Several other Caribbean islands, including Barbuda, St. Martin/Sint Marteen, Anguilla and the Virgin Islands, were not so lucky. The level of destruction on some has been described as nothing short of apocalyptic. And Hurricane Jose, another major storm close on the heels of Irma, is forecast to hit some of the same islands on Saturday before veering north. The U.S. Consulate General in Curaçao says that it believes about 6,000 Americans are stranded on St. Martin and that it was working to try to get them to safety. "We are exploring every possible option to assist U.S. citizens there," a State Department official tells NPR. "However, there is no U.S. Consulate on the island, and we currently cannot access the island." At least four people are dead in the U.S. Virgin Islands, and officials there said they expect to find more bodies. Dozens of patients were rescued from a destroyed hospital on the main island of St. Thomas to neighboring St. Croix and Puerto Rico. A pair of Air Force C-130s were flying in supplies to the stricken islands. U.S. Virgin Islands Gov. Kenneth Mapp imposed a 6 p.m. curfew, saying the focus is on "making sure people have meals, water and shelter." He called the magnitude of the storm "very chilling." At least one person, a toddler, was killed in Barbuda, where officials said nearly every building was damaged or destroyed. On severely damaged St. Martin, which is half-governed by France and half by the Netherlands, Dutch forces were helping maintain order and distributing aid, according to The Associated Press. The news agency says Dutch Prime Minister Mark Rutte had told reporters Friday that the first planeload of relief aid had landed and that Dutch navy ships were also unloading supplies. French Interior Minister Gérard Collomb said that a total of nine people have been confirmed dead on French-administered islands and that seven more are missing. Collomb says supplies and relief workers are being rushed to the area ahead of Jose's predicted arrival Saturday. In French St. Martin, there were reports of looting as military planes transported in police and rescue crews, the AP says. Still, the prime minister of St. Lucia, elsewhere in the Caribbean, sounded a note of resolve in his news conference Friday. "While it's OK to use the word 'devastation,' but it doesn't mean 'annihilation,' " Allen Chastanet. "We are resilient." This is why you need your own Private Jet. People crowd Fort Lauderdale-Hollywood International Airport as evacuation is underway on Thursday. When Florida Gov. Rick Scott advised people who may be in the path of Hurricane Irma to "leave now," it posed a challenge for those who tried to fly out of airports in southern Florida. Many found the price of a single seat to fly, say, just from Miami to New York could cost more than $3,000. For a family of four, that is as much as their annual budget for groceries. Complaints burst onto social media platforms: A man named Joseph Pep Nodarse tweeted, "Totally unacceptable, a $358 flight from Miami to NYC went up to $3578. Why should expect anything decent from these airlines???" That was followed by an abbreviated expletive in front of "RATS!" in all caps. State laws prohibit price gouging during a state of emergency. Air carriers are regulated by federal agencies. But were the airlines price gouging with those ticket prices? I'm not sure if the answer is "no" or "no more than usual." Seth Kaplan, managing partner at Airline Weekly, explained to several news organizations that algorithms in the software of major airlines monitor supply and demand, then lower or raise prices accordingly — within seconds. "This is what happens when thousand of people want to leave a place all at once," he told The Verge. When people want to — or in this case, need to — leave immediately, prices can rise alarmingly. 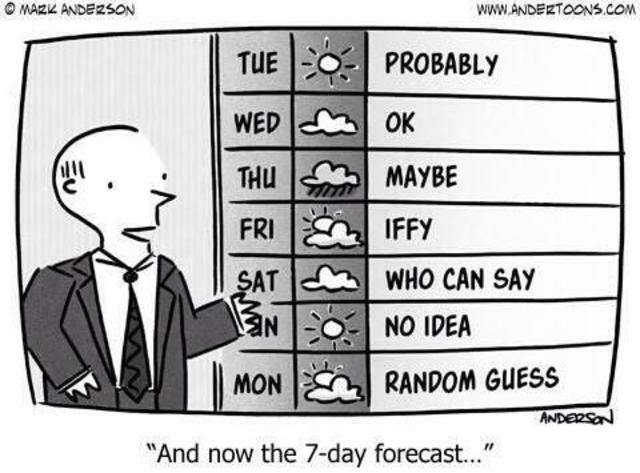 By the way: I've become convinced that "algorithms" must be a Latin phrase for "Don't blame us, it's the software." Jet Blue capped the cost of their tickets out of south Florida at $99 this week, and by the end of the week, American matched them. Delta had also overridden the algorithms and used their human powers to manually lower their fares out of Florida to $399. I wonder how a passenger who paid $3,000 for a seat on Wednesday feels about seeing that seat sell on Friday for $399. But I'm glad that when people hit by hurricanes were asked to make sacrifices for neighbors and strangers, most Americans didn't respond with, "Sorry, the algorithms won't let me." Up to Saturday, September 9, 2017. Latest from BH at WU. Above: Infrared GOES-16 satellite image of Hurricane Irma as of 2:31 am EDT Sunday, September 10, 2017. GOES data are preliminary and non-operational. Image credit: RAMMB / CIRA@CSU. After more than eight days of moving steadily through the tropical Atlantic with winds topping 100 mph, Hurricane Irma slowed down late Saturday night and began its long-predicted, long-feared turn toward Florida. Early Sunday morning, Irma was approaching the Lower Florida Keys as an intensifying Category 4 storm with top sustained winds of 130 mph. Irma was finalizing an eyewall replacement cycle, with the previous concentric eyewalls from earlier Saturday now replaced by a single eyewall about 23 miles in diameter. With this cycle complete, further strengthening appeared likely for at least a few more hours, as Irma was traversing sea surface temperatures of 30° (86°F). Southwesterly winds at upper levels were helping to ventilate the storm. As Irma continues northwest, this increasing shear will begin to impede the intensification process and, together with land interaction, will eventually lead to weakening. Irma may reach the southwest coast of Florida on Sunday afternoon while still at Category 4 strength. Regardless of its peak winds at landfall, Irma poses an extremely serious storm-surge threat to the highly populated, surge-vulnerable stretch of coastline from Fort Myers to Tampa. Irma spent nearly a full day from late Friday into Saturday scraping the north coast of Cuba and the barrier islands of the Cuban Keys. Initial reports showed widespread damage to coastal villages and resorts from Irma, which made landfall as Cuba’s first Category 5 storm in almost a century. At 3:00 am EDT, Irma was located about 65 miles southeast of Key West, drifting northwest at 6 mph. Rainbands and squalls ahead of Irma’s core were lashing the Lower Keys early Sunday morning. Key West was experiencing a storm surge of about 1.5 feet, with winds at the airport gusting to 62 mph at 1:53 am EDT Sunday. Irma is likely to deliver a punishing storm surge and fierce winds to Key West and/or Big Pine Key on Sunday morning, with the eyewall heading for one or both islands. The predicted surge of 5 - 10 feet could arrive in two phases, affecting opposite sides of the islands, as winds shift during the passage of the hurricane. The odds were increasing on Saturday night that Irma’s trek up the Florida peninsula would be focused along the state’s west coast. The NOAA/NWS National Hurricane Center again nudged its forecast track slightly westward at 11 pm EDT Saturday, bringing the center of the “cone of uncertainty” across the Tampa-St. Petersburg area for the first time. Guidance from the 12Z Saturday ensemble run of the European model, and from short-range models on Saturday night, suggested that Irma may stay near the west coast along the entire peninsula, perhaps remaining partly or even mostly offshore. Such a track would enhance the risk of damaging hurricane-force winds along the entire west coast, including the Tampa-St. Petersburg area. Winds to at least tropical storm strength (sustained at 39 mph)—perhaps lasting a few hours—are likely on Irma’s right-hand side across the entire Florida peninsula, as well as the eastern Panhandle and southern Georgia. These winds can easily bring down trees and power lines. Power outages from Irma may affect millions of people and take a number of days to repair. Figure 1. 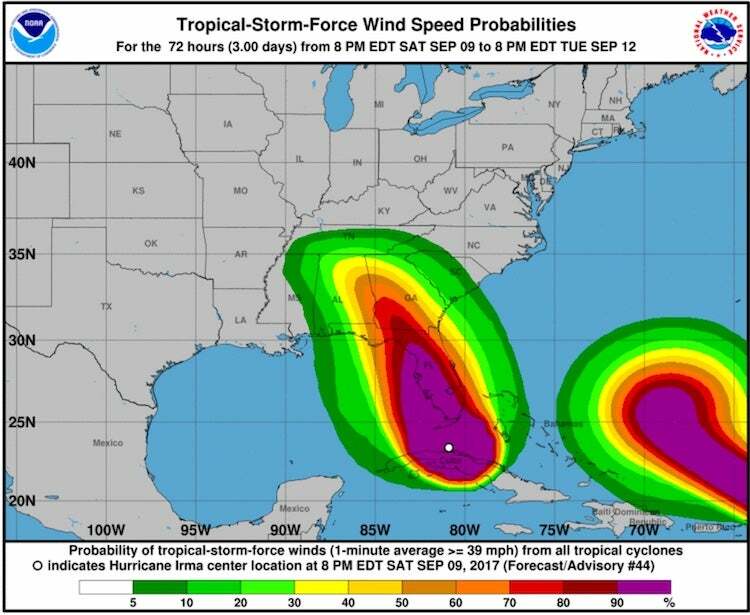 The chance of experiencing tropical-storm-force winds (39 mph sustained) is 70% or more for virtually the entire Florida peninsula during the passage of Hurricane Irma. Image credit: NHC. The westward-trending track also raises concerns for the eastern Florida Panhandle, where a direct hurricane landfall would be possible if Irma stayed just off the state’s northwest coast. Hurricane Warnings extended late Saturday for the entire Florida coast from Indian Pass (including the Tallahassee area) around the peninsula to the Georgia border. Leon County, which sits just inland from the coast and includes Tallahassee, ordered a voluntary evacuation on Saturday afternoon and planned to open shelters on Sunday, joining many other shelters throughout the state. Irma’s first approach to the Florida coast will likely be somewhere from Fort Myers to Naples on Sunday afternoon. This is where the highest winds (most likely Cat 2 or 3, perhaps even stronger at some locations) and the greatest storm surge threat is expected. If Irma’s surge arrives at high tide, coastal areas may see inundations of 10 to 15 feet above ground level—a potentially devastating amount of water. Significant surge may affect other parts of the peninsula, as well as Georgia and even southern South Carolina, given Irma’s very broad circulation. Please consult the NHC website and the WU tracking page for the latest updates on Irma in between our posts here. NHC offers a handy set of links to local NWS offices and their information on local threats and impacts. Along with Irma’s myriad other threats, an outbreak of tornadoes is quite possible on Sunday. Irma’s unusual trajectory will help lead to enhanced wind shear in the forward right flank of the storm, a common locale for tornadoes in onshore hurricane rainbands. The early-morning outlook from the NOAA/NWS Storm Prediction Center put east-central Florida in an enhanced risk of severe weather and much of the peninsula in a slight risk, mainly for the tornado threat. Tampa Bay doesn't get hit very often by hurricanes. This is because the city faces the ocean to the west, and the prevailing east-to-west trade winds at that latitude make it uncommon for a storm to make a direct hit on the west coast of Florida from the ocean. This is fortunate, since the large expanse of shallow continental shelf waters offshore from Tampa Bay (less than 300 feet deep out to 90 miles offshore) is conducive for allowing large storm surges to build. Tampa Bay is most vulnerable to large storm surges from storms approaching from the southwest or west and passing just north of the city, since the westerly winds in the hurricane's eyewall will force a massive storm surge directly into the bay. Tampa Bay is much less vulnerable to large storm surges from a storm approaching from the south, like Irma, since the hurricane's winds will be blowing offshore until the eye of the storm passes to the north. At that time, the winds will reverse and bring a storm surge into Tampa Bay. The last time Tampa suffered a direct hit by any hurricane was 1946, when a Category 1 storm came up through the bay. The Tampa Bay Hurricane of October 25, 1921 was a the last major hurricane to make landfall in the Tampa Bay Region. This low-end Category 3 storm with 115 mph winds at landfall brought a storm tide of 10 - 11.5 feet (3 - 3.5 meters), causing severe damage ($10 million in 1921 dollars.) The only other major hurricane to hit the city occurred on September 25, 1848, when the Great Gale of 1848, the most violent hurricane in Tampa's history, roared ashore as a Category 3 or 4 hurricane with 115 - 135 mph winds. A 15-foot storm surge (4.6 meters) was observed in what is now downtown Tampa, and the peninsula where St. Petersburg lies, in Pinellas County, was inundated, making St. Petersburg an island. A large portion of what few human structures were then in the area were destroyed. See our post from Saturday afternoon for more on Tampa’s vulnerability to hurricanes. Figure 2. Infrared GOES-16 image of Hurricane Jose as of 1:30 am EDT Sunday, September 10, 2017. Image credit: NASA/MSFC Earth Science Branch. After threatening the hard-hit northern Leeward Islands at Category 4 strength, Hurricane Jose stayed just northeast of the islands and began weakening on Saturday night. As of 11 pm EDT Saturday, Jose was located about 110 miles north of the Leewards, moving northwest at 14 mph with top sustained winds at minimal Cat 4 strength (130 mph). The short-term forecast is straightforward—Jose will gradually weaken as it heads northwest—but then things get complicated. Jose is predicted to carry out a clockwise loop in the open Atlantic as steering currents slacken. The NHC forecast issued late Saturday night has Jose completing this loop by Thursday and heading southwestward toward the Bahamas as a Category 2 storm. Long-range models suggest that Jose will move toward an atmospheric weakness in the eastern U.S. that will be left behind after Irma dissipates inland. It’s too soon to know what other features will be in play to help shape Jose’s course over the 6- to 10-day period, but we may be tracking this hurricane for some time to come. As I begin writing this article, it is 3PM Alaska Time on Thursday, September 7, 2017. Cat 5 Hurricane Irma has already begun her Strafing Run to destroy Industrial Civilization even faster than it can do it by itself. Irma follows closely on the heels of Harvey, which focused it's attention on the center of the Oil based economy, Houston, Texas and left it in ruins. In "normal times", Houston and the cleanup would still be the focus of the MSM newz, since most of the area is still a complete disaster scene. 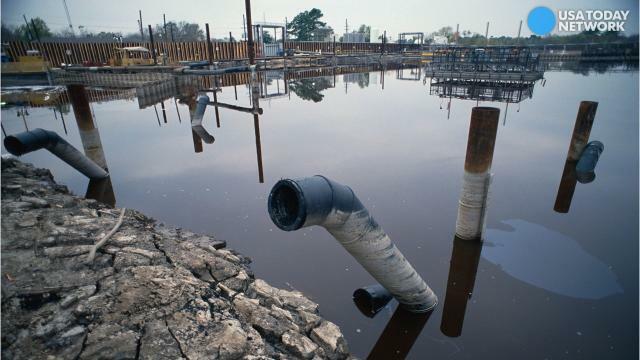 Even FEMA admits it is a cleanup which will take "years". These are not "normal times" however, they are the "NEW Normal Times". In the New Normal, there is a new and bigger disaster every week, which is great for a Collapse Observer and Writer, but not so great for the millions of people living in a given disaster zone. Even while these climate related disasters get ever larger and more frequent though, you have a large cadre of Politicians (mostly Repugnants) who remain deniers of Climate Change or Ocean Heating. 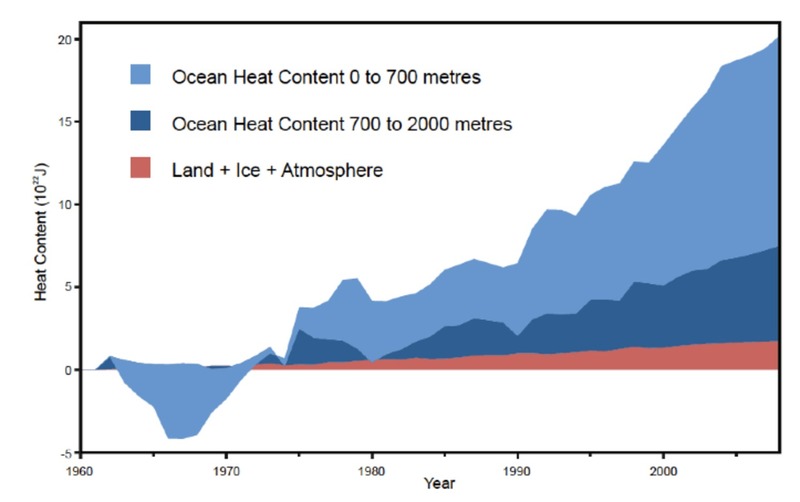 Which is pretty amazing they can get away with since we have direct data from Da Goobermint's own agency of the NOAA that shows unequivocally that the Total Heat Content of the Oceans has risen over an order of magnitude since 1975. What happens when you put a pot of water over more heat? Do you get more steam or less steam? More, duh. So in this case, the Ocean is putting more water vapor up into the atmosphere. The Global Oceans are just a very big pot of water. More water vapor in the atmosphere means more water available to come down in buckets once the system moves its way over a land mass. It also means a lot more energy available to the storm, because on falling DOWN, all the energy stored in raising the water UP gets released. Remember the Law of Conservation of Energy. "Energy is neither Created nor Destroyed, only transformed from one form to another". In this case, the heat energy used to crank the water UP into the atmosphere is mostly transformed on the way DOWN into mechanical energy reflected in the terrific wind speeds we are now getting with these behemoths. Irma made her first landfall in the Antilles and Virgin Islands, to absolutely devastating results on some of the islands, which were basically levelled. Some of the worst hit were St. Maartens and Barbuda, but few of them got away unscathed. Death toll numbers coming in from those islands are currently in the low double digits (publicly), but communications have been out there for a couple of days and rescue teams can't make it to many areas on these islands either. The Death Toll there will undoubtably rise over the coming days/weeks/months ahead, but for now everyone's eyes are turned toward each new destination on the Strafing Run of Irma. As I pick up on writing this article on Friday, Irma finished her Strafing Run on the Carribean Islands, and made her way to the North Shore of Cuba. As you can see above, what she left in her wake in the Virgin Islands was a wasteland. The above satellite photograph is of the island of Barbuda Before & After. Not only the McHovels of the Locals and the McMansions of the Ex-Pats were flattened, so was all the vegetation as well. The island was basically stripped of every Palm Tree that grew there over the last 20 years at least. Maybe they can put in Plastic ones with spring loaded breakaway bases that will lay flat in the next Cat 5, then spring right back up after it is over! I'm sure the Touristas won't notice the difference! Little Newz at all coming from Cuba, even though it's a few hours since Irma made First Contact there, but NOAA Sat imagery shows it has been raking the coastline which is scattered with numerous fishing villages all now undoubtable completely flattened. Hopefully, the Cubans in those locations found some refuge, although given storm surge and the fact these folks do not have a whole lot of transport ability to do a Bugout, it's hard to see where they would shelter or how. Will we ever get accurate casualty numbers out of Cuba on this? Unlikely. Tonight here from my perch in Alaska I just watch the Satellite Imagery from the NOAA website to see when Irma makes her turn Northward to Strafe Florida. The track has moved progressively westward through the evening as Irma has lingered longer than expected by the computer models devasting the north coast of Cuba. In the latest RGB image I opened, it looks like the turn may be beginning. These things come agonizingly slow for the doom watcher. On the latest & greatest Sat & Track forecasting from NOAA, It looks like First Contact comes from the Western/Gulf side, which might be good because it is slightly less populated than Miami-Dade, but on the other hand bad because it keeps Miami in the NE Quadrant of the Hurricane for the entire time it traverses the Florida Straights, where it is projected to further strengthen. It's already back to Cat 5 status, and southern Florida is already feeling the effects from the Outer Bands, with 25,000 Energy Konsumers already without power and Irma hasn't even left the north shore of Cuba yet! She has tracked far enough along that coastline now that Hurricane force winds are battering Havana, given the immense size of the storm. As I awaken on Saturday morning here in my Perch on the Last Great Frontier, Irma still is pummeling the north coast of Cuba, and my mistake, the archipelago Keys along the north coast are no longer populated by mostly fishing villages. This area has seen a lot of development since the FSoA and Cuba decided to "normalize" relations, which amounts to allowing Amerikan Touristas being allowed to Vacation in Cuba and Amerikan Banksters to further exploit Cuba. Which also means those islands on the northern edge of Cuba have seen a lot of resort hotel development over the last couple of years. They are TOAST. The Insurance industry will take a nice hit from this Strafing Run also. Irma's jog westward in the forecasts has made some changes to the devastation to come here in the FSoA, depending on how well it holds up. As of now, it looks like instead of skirting the East Coast of Florida, she will skirt the West Coast. In both scenarios, the Florida Keys will be decimated. There are old-timers down there who refuse to leave, they are goners. But if you are 70 years old and on Social Security living in your Van because there is no affordable housing down there anymore for any but the 1%, WTF else would you go? And just how far could you GTFO of Dodge at this point? Maybe you could make it to Jacksonville…maybe depending if you could get gas along the way. If you didn't make the decision to GTFO of Dodge 2 Days ago, you are SOL now. You will stay where you lay, and you will either make it through the maelstrom or you won't. Meanwhile on the Mainland of Florida, they are now in a complete state of PANIC. The folks who did not get out early are now lined up in Traffic Jams and can't find available gas at the convenience stores to keep moving on their Bugout to the house of some relative in Atlanta. The folks who could not Bugout at all because they don't have a car are now lined up outside "shelters" to hunker down for the duration of the storm. These shelters are generally hastily organized from large facilicities with a lot of space available, Talladega Speedway in Alabama for instance is opening up the racetrack for Refugees from Irma, and inside the local Miami area pretty much every school gymnasium is being set up as a shelter, but the reality is there are far too many people living in this zone that you could possibly shelter them all in buildings that are sturdy enough to withstand the winds, and then if you get inundation from Storm Surge you are equally fucked in a concrete building as a stick built one, if the water rises above one story in height you will be flooded. Beyond that over the course of a day or two is the Potable Water problem and the Sanitation problem in these shelters. Toilets don't flush once the water rises past ground level. Further down the line the problem is what do you do with the people living in the shelter after Irma blows through town and they no longer have homes, just piles of flooded rubble? It's not like they can go back to the McHovel and take up BAU life again just because it stopped raining. Before we get to the problem of how to get them OUT of the shelters once they are in them is the problem of getting them IN to the shelters before the storm arrives. Finally after days of dawdling on this, Da Goobernator of Florida Rick Scott ordered a "mandatory evacuation" for much of south Florida, although it really isn't mandatory for most people, just they are told nobody will come to rescue them if they get in trouble. Homeless people though are forced into shelters under a law which says people who pose a danger to themselves can be forcibly removed. The problem getting the people IN to the shelters is that there are TONS of people now looking for shelter as they read or watch more about the devastation in the Virgin Islands, and there just aren't that many good shelter locations available. Basically every decent size school built from concrete has been turned into a "shelter" over the last 2 days, but that doesn't mean they have cots or water or food in supply there. IF you manage to get in, you better have your own air mattress and sleeping bag at the very least, or you will have a real uncomfortable couple of days sleeping on a hard floor in the gym. There is also no guarantee many of these shelters won't suffer from many of the same problems the stick built McHovels will face as Irma rolls into town. If the neighborhood is inundated by Storm Surge, school gymnasiums are no more water tight than a McMansion is, and the water will flood the ground floor of the building at least. If there is a 2nd Story, refugees might move their sleeping bags up there, but most school gyms don't have a 2nd story. They also don't usually have an emergency generator to keep the lights on either, so if/when they go out, the gym is plunged into darkness, with 1000 strangers surrounding you and a real racket coming from outside that sounds like you are standing behind the jet wash of the engines on a Boeing 747, or if you are right on the Eyewall maybe a Sonic Boom. If you are not completely terrified by this time, you have more fortitude than me. I would be shitting myself. We're moving into the afternoon here, and Irma STILL has not made the right hand turn to Go North to Florida from Cuba. Cuba has been hammered all day by hurricane force winds all along the north coast, and little in the way of newz has emerged from there to this point. The Eyewall is close enough to Havana now they must be getting hurricane force winds and on-shore storm surge. Forward speed of the storm has slowed to the crawl speed of 6 mph, which is making all of this interminably slow for the Collapse Observer, and orders of magnitude worse for anyone who happens to be on the Path of Total Destruction. I can go faster than that in an electric Cripple Cart at Walmart! The longer the hurricane force winds hang out in your neighborhood, the worse the destruction. Hard to say whether suffering 1 hour at Cat 5 is worse than 2 hours at Cat 4. Both are not good scenarios though. Jeff Masters at WU and the NOAA all predict that Irma will take the hard right hand turn north to the West Coast of Florida sometime today. I stay tuned to the NOAA website and their Satellite imagery to watch for this today here from my safe computer workstation on the Last Great Frontier. I count myself lucky, because at one time I DID live in Melbourne, Florida, for a short year-long gig job coaching gymastics for a couple of women I absolutely despised for the way they ran their program. But it was money I needed, and it was a job. So far though, this turn has not occured, and the possibility does exist that Irma may drift into the GoM further, missing the Florida Coastline altogether. That would spare Florida and a lot of people who did EVAC & BUGOUT will be mighty pissed off, but it wouldn't remove the danger that Irma poses, because once inside the GoM waters and roaming again, she would regather strength and finding a new place to go on a Strafing Run would be chosen by the Finger of God. Maybe she would set her sights on NOLA, who knows there? I do have fair confidence though that the NOAA models are correct here only one day out from Lower 48 landfall, and the West Coast of Florida looks highly probable at this point. Biggest population center likely to take a big hit here would be Tampa, and Tampa Bay is perfectly set up for an enormous Storm Surge, probably close to 20' on the current projected track. If in fact both the NOAA and Weather Underground get this one WRONG though and Irma moves further West in trajectory and misses the Florida Peninsula entirely, the whole Weather industry of Meteorologists Weathermen will take an ENORMOUS hit it their credibility. The costs even before the storm hits in terms of the evacuations and the lost bizness and wages to workers are enormous already, and all based on PREDICTIONS the Weathermen are making. If this turns out to be a DUD for South Florida, first off you will have a lot of Finger Pointing and Blame Game being pitched around. and second it will make people less likely to GTFO of Dodge the next time one of these behemoths is targeting the neighborhood. Even with the Supercomputers and the great Algos on the job these days, even just one day out, a variation of a couple of degrees in the track makes a big difference as to where the mother fucker will make landfall and when. Strength at landfall also is a tossup right up until First Contact. In this case, while also delaying the northward direction change, Irma has also slowed down substantially in translational movement, only plodding along now at 6 mph. That means she will spend more time over the warm waters of the Florida Straights, which means more time to regain strength after her Strafing Run on Cuba. She might even make it back up to a Cat 5 during this period, in which case she doesn't have to hit Miami dead on to wreak devastation, the wind field is so large it will cover all of southern Florida, and Miami would be in the worst position in the NE quadrant for that wind field and storm surge. So even at this fairly late juncture, you can't really say for sure where Irma will hit in the Lower 48, or with how much strength or how much damage will be inflicted on Industrial Civilization in that neighborhood. It does look likely though that the damage will be severe, even if Miami doesn't take a full on direct hit from the Eyewall. The bigger picture as we know from both Harvey and Katrina is that in reality, the biggest costs come not from exactly how powerfully a hurricane arives at on the Saffir-Simpson scale, but how much water gets dropped down on a given neighborhood in a given period of time. Houston suffered its greatest problems not from Wind Speeds, but from inundation of rainwater measured in FEET, not inches. In this case, the most likely inundation comes from Storm Surge all the way up the West coast of FL if Irma stays offshore. She will make landfall somewhere though, if not Tampa than maybe north of there towards Tallahassee. Of course, to have real big media impact the landfall needs to be near a major Big Shity, So that would dampen the psychological impact and the MSM will say "we dodged a bullet". OK. PUBLICATION TIME has arrived here on the Diner for the Sunday Brunch article. As of now, all the Livestream Cameras that AZ (one of the Diners) put up Inside the Diner are now offline with NO SIGNAL. I'll leave this installment of The Strafing Run of Mother Nature with the latest update of the NOAA Sat Animated GIFS in nice RGB colors. Still moving at an intemrinably slow 6MPH, now moving NW and likely to make a close hit on Key West as First Contact. Unless she takes a more NNW track though, she will miss the FL West Coast entirely and collide with the North American continent somewhere around Pensacola, or even NOLA. That would be a hoot. If JM & BH at WU and all the Code Jockeys running the models at the NOAA are right though, tomorrow will see a few million Retired Floridians experiencing FAST COLLAPSE, with virtually the entire state destined to lose electric power. It will be quite some time if ever if it is all restored. Part 1 now UP on Global Economic Intersection! 'I am scared' : Miami Beach residents brace for Irma. MIAMI — The fierce winds of Hurricane Irma regained Category 4 strength early Sunday, and the massive storm already has caused hundreds of thousands of power outages across South Florida as its leading edge lashes several major population centers. Still hours from landfall in the Florida Keys, Irma’s growing intensity underscores fears that the storm could ravage the state with destruction not seen in a generation. As of 5 a.m., the National Weather Service expected the storm’s 130 mph winds to soon hit near Key West, where storm surges could reach a devastating five to 10 feet, before the hurricane slowly proceeds up the state’s west coast. And due to the size of the hurricane, weather officials warn that Florida’s east coast — home to Miami and Fort Lauderdale — also remains in danger from winds and storm surges expected to easily overwhelm some areas. More than 6 million residents were ordered evacuated by Saturday evening, as Irma’s outer bands scraped Florida, forcing thousands to cram into shelters. Gov. Rick Scott (R) sounded dire warnings about the storm, urging residents in evacuation zones to leave their homes immediately. “Once the storm starts, law enforcement cannot save you,” Scott said Saturday at a news conference in Sarasota. While the National Hurricane Center had downgraded Irma to a Category 3 storm Saturday, the storm was upgraded again to Category 4 early Sunday. At 5 a.m., weather officials said the storm was plodding northwest at about 8 miles per hour, placing it on pace to reach Naples by about 5 p.m. Forecasters are predicting a second landfall, possibly near Tampa, overnight on Sunday into Monday. Regardless of its track, all of Florida likely will experience damaging winds, rains, flooding and possibly tornadoes. The National Weather Service has issued a tornado watch for all of southern Florida and the Florida Keys. The National Weather Service said southwestern Florida could see storm surges up to 15 feet if peak surge happens during high tide. A storm surge warning is in effect for much of the Florida peninsula. “This is a deadly storm and our state has never seen anything like it,” Scott said. Counties including Broward on the east coast have imposed curfews and at least 70 more shelters were opening across the state Saturday. At least 50,000 people are staying in 260 state shelters, Scott said. He implored nurses to volunteer throughout Florida; the state desperately needs 1,000 nurses in its special needs shelters. By Saturday afternoon, storm conditions had swept into Miami, now a ghost metropolis. There was no traffic on typically-jammed roads and highways. Almost all stores appeared to be closed. By midday, dozens of people crowded Vicky Bakery on Coral Way, the one place for miles that was open. In downtown Miami, cranes spun like toys. A wind gust of 70 miles per hour was recorded at the Fort Lauderdale-Hollywood International Airport Saturday afternoon. Emergency managers in Monroe County, which encompasses the Keys, were forced by the track of the storm to abandon their Emergency Operations Center in Marathon, in the Middle Keys, and relocate to relatively high ground in Key Largo, at the northern end of the island chain. Downey said he feared that the storm could knock out the so-called Overseas Highway, which would hamper rescue efforts. That would necessitate mobilizing by air and water. But he said his department’s helicopters had been moved ahead of the storm to Orlando, to keep them from being damaged. Downey described the triage of a first response — the fact that rescue teams will go looking for someone who has called 911 and then encounter five more people in need along the way. “You hear the first person scream, you think that’s the worst. I’m more concerned about the people we haven’t heard from,” the chief said. As Irma hurtles toward Florida with 130 mph winds, forecasters predicted the storm’s center would strike the Florida Keys, then hit southwestern Florida, move up the state’s Gulf Coast and plow into the Tampa Bay area. In Estero, on the west coast of Florida, thousands of people wrapped around the massive Germain Arena, which officials opened as a shelter Saturday and has a capacity of 7,000 to 8,000. At least six ambulances have responded to people who were overcome in the muggy, 90-degree heat. Troopers, the National Guard and local police sought out people in wheelchairs and moved them to the front of the line, said Lt. Greg Bueno, public information officer for the Florida Highway Patrol. Leaning on a cane, Betty Sellers, 68, and her son, Doug, 49, got in line at 9:30 a.m. and were still 100 people away from the front doors. They had driven up to Estero from Naples, because “the shelters were mostly closed there,” she said. Officials at the Collier County emergency operations center in Naples said 15,000 people have filled its shelters, but they are trying to expand space in each location to accommodate more. Demand exceeded expectations as the forecast showed the area likely taking the full force of Irma’s impact. The county said it will be difficult for it to house everyone who needs or wants to evacuate in shelters and urged people who can find shelter with friends or family to go there. Lee County manager Roger Desjarlais said Saturday afternoon that the county is sheltering 22,000 people. The two counties combined have a population of about 1 million. Officials are also concerned that wind gusts will send water over the Herbert Hoover Dike that holds back Lake Okeechobee, which covers more than 700 square miles. Evacuations have been ordered for cities and towns on the south side of the lake in Hendry, Palm Beach and Glades counties. The storm has already heavily damaged some Caribbean islands, killing at least 22 people. In St. Martin, 25 United States citizens were evacuated on a C130 military aircraft Friday from Sonesta Great Bay Beach Resort. Resort officials said another evacuation is expected. Michael Joseph, president of the Red Cross in Antigua and Barbuda, said Barbuda is “uninhabitable” and in a “total blackout” with almost all of its infrastructure wiped out. A Marine expeditionary unit and a Navy dock landing ship arrived in the U.S. Virgin Islands, and patients in need of medical care were evacuated from St. Thomas. For some families, the hurricane has affected loved ones in the Caribbean and now Florida. Since early Wednesday, when Hurricane Irma tore across the Caribbean island of St. Martin, Gretchen and Peter Bogacz have been hunkered down at the Hotel L’Esplanade with no power or running water, trying to find out if assistance was on the way. But with the airport seriously damaged, there was no way out. Meanwhile, Irma was headed toward their 12-year-old daughter Isabella as well as Peter Bogacz’s parents, who planned to ride out the storm together at home in Sarasota, Fla. The situation is overwhelming for Gretchen’s sister, Natalie Grinnell, who is urgently monitoring the forecasts from her home in Spartanburg, S.C.
“My worry for my loved ones is pervasive,” she wrote in an email to The Post. About 540,000 people in Georgia and 44,000 in South Carolina had also been ordered evacuated by Sunday evening. Airports throughout Florida and in Savannah, Ga., were closed. Disney World is closed Sunday and Monday, with resort hotels staying open. At a shelter inside Pompano Beach High School, on the southeast coast of Florida, video of Irma’s devastation in the Caribbean were constantly being aired on two big-screen TVs set up in the cafeteria, where 280 evacuees were sheltered in place on Saturday afternoon. They ate a lunch of sausage pizza, canned corn, applesauce and milk or juice. Mayor Mark Fisher stopped by to thank people for evacuating to the shelter. It is one of 20 set up by Broward County. Three of the shelters are pet-friendly, though not the one at the high school. Another is specifically for people with special medical needs. Infants, parents and grandparents all crammed into an at-capacity emergency shelter at the Miami-Dade County Fair and Exposition. There were pets, cots, a few birds and wheelchairs — lots of wheelchairs. Two elderly people, one with diabetes already feeling fatigued, said they came with little food and no beds, so they’d be sleeping in their wheelchairs until the storm passes. Long had a blunt message for those in the Florida Keys: “You put your life in your own hands by not evacuating,” he said on CNN. But some locals refused to budge. Achenbach and Stein reported from Miami, Lowery and Zezima from Washington. Patricia Sullivan in Estero, Scott Unger in Key West, Leonard Shapiro in Pompano Beach, Lori Rozsa in Gainesville and Rachelle Krygier in Caracas, contributed to the report. Lori Aratani, Mark Berman, Thomas M. Gibbons-Neff, Matea Gold, Jason Samenow, and Sarah Larimer in Washington contributed reporting. You think the Brits can maintain order and rebuild these islands? They can't even keep their own island in shape! Those ex-Pats better get on the first plane out of there and back home to Jolly Old England. The "Island Paradise" for retirees is no more. Fifty police officers are flying to the UK's overseas territories to help restore order after Hurricane Irma, Foreign Secretary Boris Johnson says. The situation across the Caribbean is "very grim indeed", he said, following an emergency government meeting. 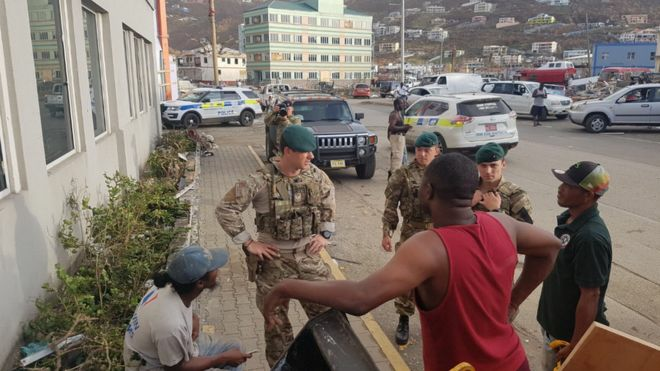 But he said things are improving in the British Virgin Islands where 125 troops are helping to tackle looting. He added that criticism of the UK government's response to the disaster was "completely wrong". Earlier Defence Secretary Sir Michael Fallon dismissed complaints that the UK's response was "found wanting" and that it was slower than France and the Netherlands. Mr Johnson said: "There's an unprecedented effort going on by the UK to meet what has been an unprecedented catastrophe in that part of the Caribbean." What are the UK's commitments to overseas territories? He said that UK military ship RFA Mounts Bay had been in place to help bring aid and supplies to the region during hurricane season. He added: "Other countries have actually been asking us for help, including the French." What has happened in British territories? Anguilla: Hit by the full blast of the hurricane on Wednesday. At least one death reported. British Virgin Islands: At least five people have died. Expected to require extensive humanitarian assistance. Montserrat: "Swiped" by Irma but suffered less serious damage. 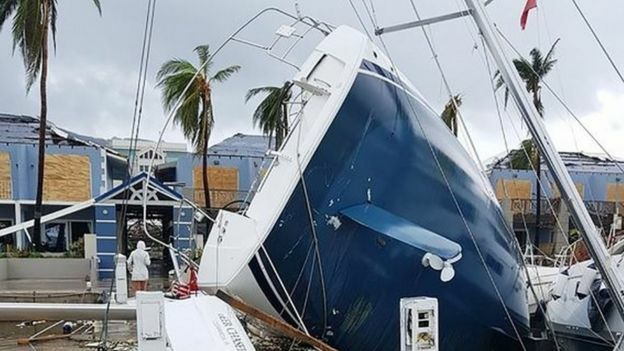 Turks and Caicos: Battered by the hurricane on Thursday night, with roofs ripped off, streets flooded, utility poles snapped and a widespread black-out on the main island of Grand Turk. How long do you think it will take to restring the wiring for 5M people? Over-Under on this? RIVIERA BEACH — More than 5 million people are without power as Hurricane Irma pounds Florida, FPL officials said Sunday during an emergency operations meeting. The 5 million in the dark represent 2.5 million customer accounts. The company, which serves 5 million accounts representing 10 million people in 35 counties, expects about 3.4 million customer accounts, representing 6 million people will lose power in Irma's wake. More than 17,000 utilities workers from 30 states and Canada are stationed at more than 20 staging sites across the state ready to restore power. The workers, employed by other utilities companies throughout the U.S., can begin restoration work once winds drop to 35 mph and floodwaters recede. Some have been working during the storm to restore power. By Sunday, the company restored power to 400,000 customers during the storm. "We are restoring power where we can get out between feeder bands," Rob Gould, FPL vice president and chief communications officer said Sunday. 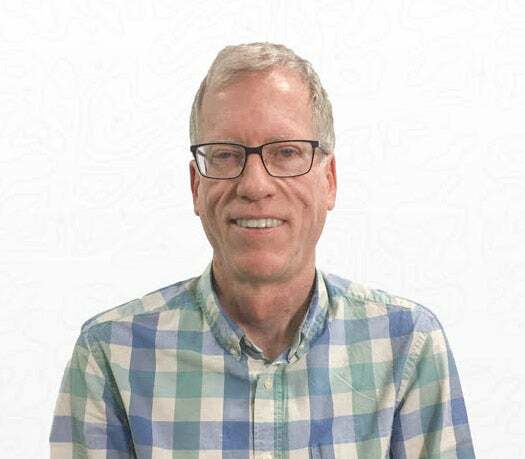 FPL officials believe restoration efforts can begin in Broward and Miami-Dade counties first when FPL meteorologist Tim Drum predicts tropical storm force winds might subside by 7 a.m. Monday. Drum predicts tropical force winds to subside in Palm Beach County by 9 a.m. Monday and on Florida's west coast by noon Monday — all best-case scenarios, he said. On Sunday morning, as Irma battered The Keys, hurricane force winds extended 80 miles from the storm's eye. Tropical storm force winds extended 220 miles from the eye, Drum said. The greatest storm surge is expected on the Gulf Coast, with surges of up to 15 feet, Drum said. The state will see 8 to 15 inched or rain and 20 inches in some areas, Drum said. It will take roughly 1 million man hours to restore power and rebuild the company's infrastructure on the west coast, which could be demolished by Irma. Restoring power at storm shelters on the west coast where Irma is taking aim is a top priority. Crews on the east coast are ready to cross Alligator Alley once the roads are clear. "This is the toughest time of the storm because we have to unfortunately sit here and watch the impact of the storm and see how our customers are impacted with a very little ability to restore them," FPL president and CEO Eric Silagy said Sunday. FPL expects Irma's powerful winds and potential flooding to wipe out parts of its infrastructure on the west coast, snap concrete poles and bend metal ones. While trying to restore power to as many customers as possible, crews also will begin rebuilding the infrastructure, which could take weeks. Rebuilding entails replacing hundreds of down poles, substations and parts of the electrical system, Gould said. It's still too early to estimate the cost of repairing and rebuilding FPL's infrastructure, Gould said. The number of customers predicted to lose power shatters a record once held by Hurricane Wilma in 2005, which blacked out power to 3.2 million customers. Now up to 7M and Orlando and Tampa haven't reported in yet. About 280,000 Texas customers were without power on Monday, according to four of the state's investor-owned utilities. Continued high winds, rain and flooding were preventing the companies from restoring power in some of the hardest hit areas. Thousands of out-of-state workers helped to restore electricity to some customers. I don't think they have anywhere near 17,000 linemen available to work this job. The out of state linemen are still working Harvey in Houston. Where would they stay? You think there are 17,000 hotel rooms available when every hotel was booked solid by people bugging out? 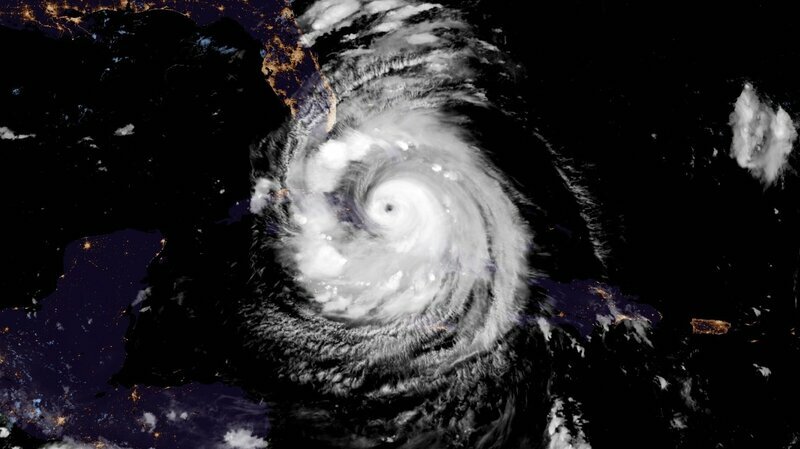 As suspected based on the track she took and the Cat 5 wind speeds at the time, Cuba got positively HAMMERED. Florida is quite lucky compared to the devastation they are facing now in Cuba. In Cuba they can't just print up Magic Money to throw at the problem either. They are going to have a lot of problems "recovering" there. Hurricane Irma barreled through swaths of northern Cuba this weekend on its march toward Florida, ripping off roofs, knocking down power lines and dealing blow after blow to the island’s fragile infrastructure. Thousands of tourists were evacuated from Cuba’s popular beach resorts as Irma sawed through the island’s northern coast Saturday as a powerful Category 5 hurricane, pummeling the coastline with 160-mph winds and a 10-foot storm surge. The provinces of Matanzas, Villa Clara, Camaguey and Sancti Spiritus took the brunt of the storm, with collapsed homes and streets clogged with debris. 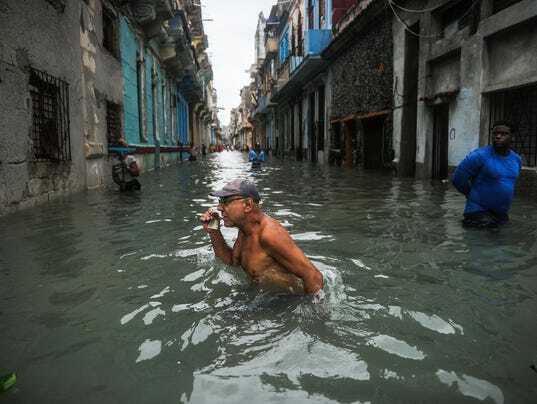 The Cuban capital of Havana took on lashing rains and some flooding. Residents of "the capital should know that the flooding is going to last more than 36 hours. In other words, it is going to persist," Civil Defense Col. Luis Angel Macareno said late Saturday. As Irma loomed, Cuban soldiers spread through towns bracing for the worst impact and forced residents to evacuate, taking many to nearby shelters. Authorities in the city of Santa Clara said 39 buildings had collapsed there. In Caibarien, a small coastal city about 200 miles east of Havana, winds downed power lines and a three-block area was under water. Many residents had stayed put, hoping to ride out the storm. The storm’s force was felt strongly in towns like Esmeralda and Chambas in Camaguey Province. Local radio reports said the area’s 13 shelters were filled to capacity with evacuees, according to the Cuban news website, 14ymedio.com. In western Camaguey, Irma’s storm surge and pounding rain overflowed the San Pedro River, destroying homes and sending residents scrambling for higher ground. Before slamming into Cuba, Irma had left a path of destruction in lush Caribbean resorts such as St. Martin, St. Barts, St. Thomas, Barbuda and Anguilla, where residents said they felt abandoned by officials. The spokesman for France's government, Christope Castaner, said in an interview with Europe1-CNews-Les Echos on Sunday that he "perfectly (understood) the anger" of people on the Caribbean islands. But he defended the government response, saying emergency help was given "first priority." Castaner said that many islanders were suffering from "an impact of emotional shock, an impact that's extremely hard psychologically."